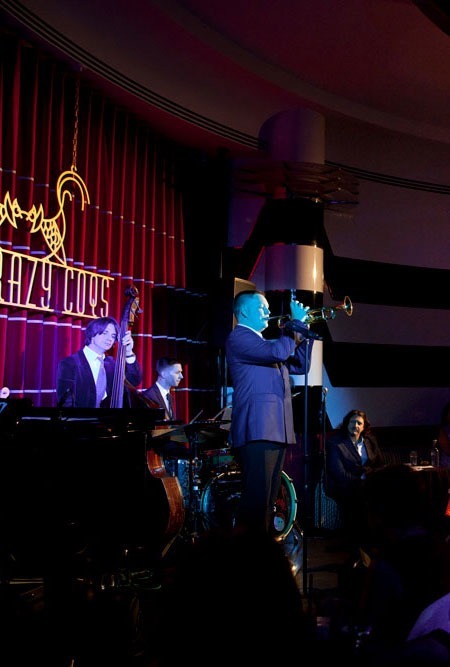 Every Friday & Saturday night, following the 9.15pm ticketed event, The Crazy Coqs plays host to 'Round Midnight - a free of charge, late-night music show. With a different band each night, playing from around 11.00pm until 12.30am, the diverse line-up champions the likes of Blues, Jazz, Swing, Cuban, Calypso, Americana, African Highlife and everything in between. Completely free of charge with no reservations needed - first come, first served. Join The Dime Notes as they swing the roof off with their customary blues-drenched 20's New Orleans jazz, and repertoire of stomps, blueses, and forgotten gems of the era. Featuring Chris Barber's long-time clarinetist David Horniblow, U.S pianist and Morton specialist Andrew Oliver, and the unstoppable pulse of London's knockout rhythm section, guitarist Dave Kelbie of Evan Christopher's Django a la Creole fame, and bassist Louis Thomas.